My kids learned to love one another better this year. It probably sounds funny to put it that way…love one another better…but there’s always room to grow in the area of love in our home. Previously, they spoke harshly with each other when annoyed, and they had conflicts over inane things — toys, things, and personality quirks. About two months back, my second son, Edan, was assigned to lead our family devotion night, and he asked his siblings to memorize the passage, “Be kind to one another, tender-hearted, forgiving each other, just as God in Christ also has forgiven you.” (Ephesians‬ ‭4:32‬) He asked each of his brothers and sisters how they would apply the verse and they were all honest about the need to be more considerate and accommodating of one another. I want to applaud Tiana and Catalina for choosing to get along in a much friendlier manner as of late, as well as Elijah and Edan for minding their words and attitudes towards each other. Titus, who is in between the two pairs, has always been the easy-going guy, never really ruffled by anyone and very forgiving. 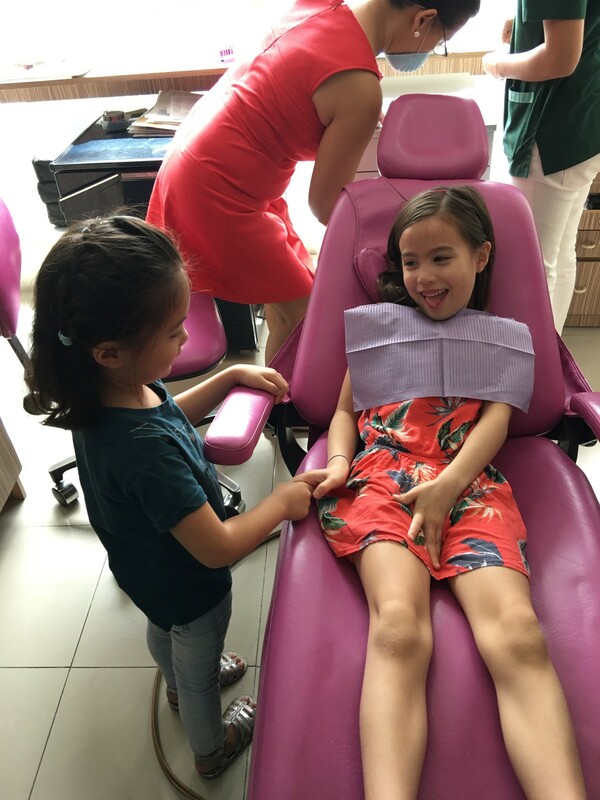 Today, at the dentist, I witnessed the kids’ concern for one another played out, especially by Catalina for Tiana. Tiana needed to have a tooth extracted since her permanent one was growing behind her milk tooth. 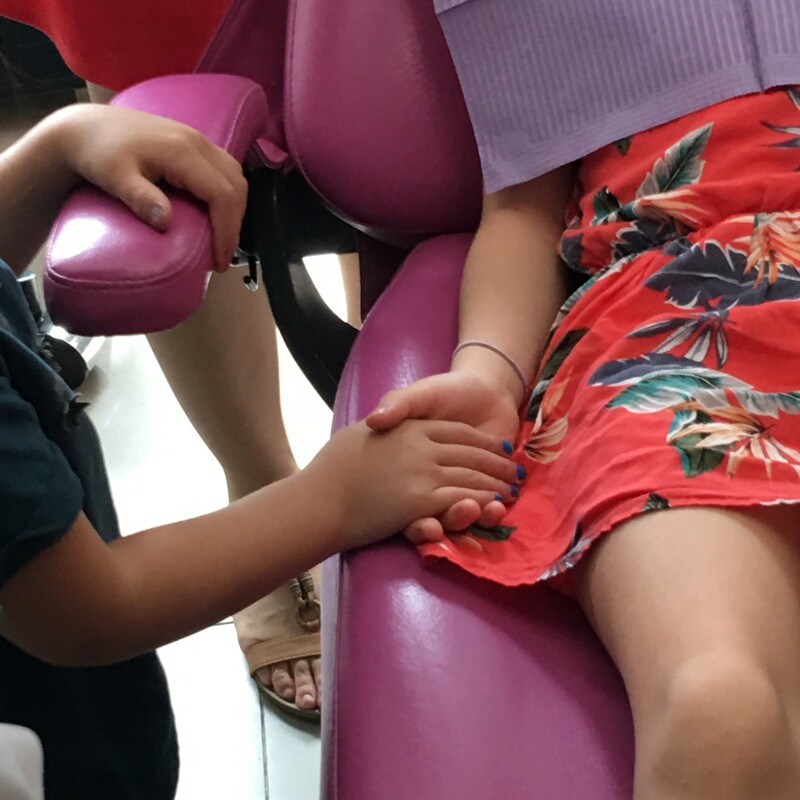 While she sat in the chair fretting, Catalina told her not to worry, that she would hold her hand while the anesthesia was injected into her gums. Even if Catalina is three years younger, she’s a little toughie. Edan and Elijah also came over to encourage Tiana. Edan talked her through what to expect since he had the same procedure done before. Tiana teared a little but she bravely endured the ten minutes that it took to pull her milk tooth out. 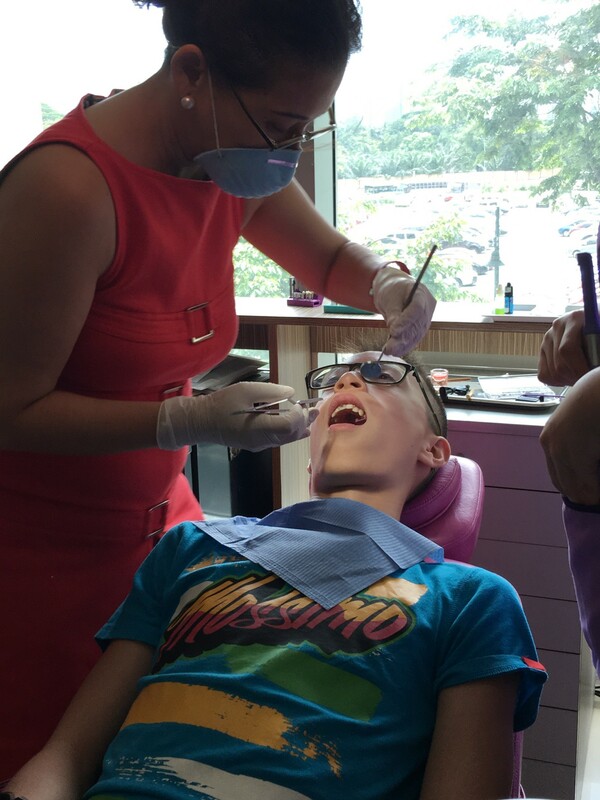 Elijah, my eldest, finally got his braces, too! 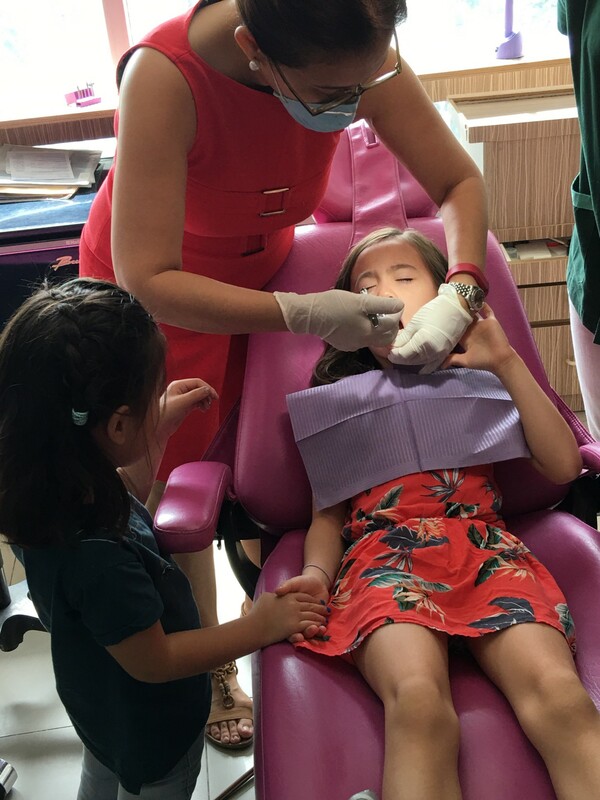 It was a big day for our family’s teeth! He’s doing Turbo Braces, a new braces technology which will take less than a year. Woohoo! It requires visits to see Dr. Marla twice a month but it’s so much more efficient than traditional braces. 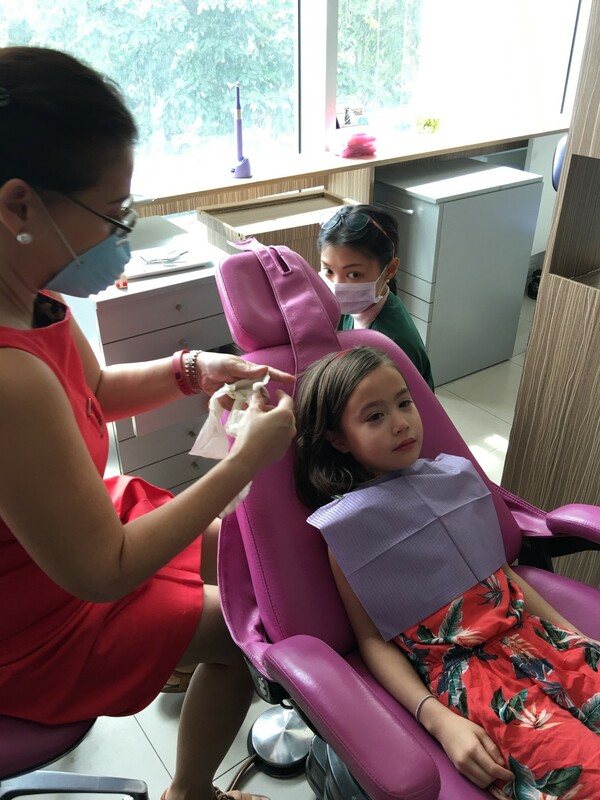 (In case you have a teenager who needs braces…here’s Dr. Marla’s assistant’s number: Nicole: +63 922 848 3776. Her clinic is in Bonifacio Global City. Until some months ago, Catalina used to tell her siblings things like, “You are ugly. I don’t like you. You aren’t my brother (or sister) anymore!” Where did she learn to speak such painful words?! Edric and I had to train her and discipline her for unkindness. There was a point when she would even say, “You are sooo ug, ug, ug…” because she knew she wasn’t allowed to say the word “ugly.” Ay! I praise God she’s changed so much! Now, she tries to get along with her siblings and control her tongue. She’s turning out to be such a sweet three year old to her brothers and sister. 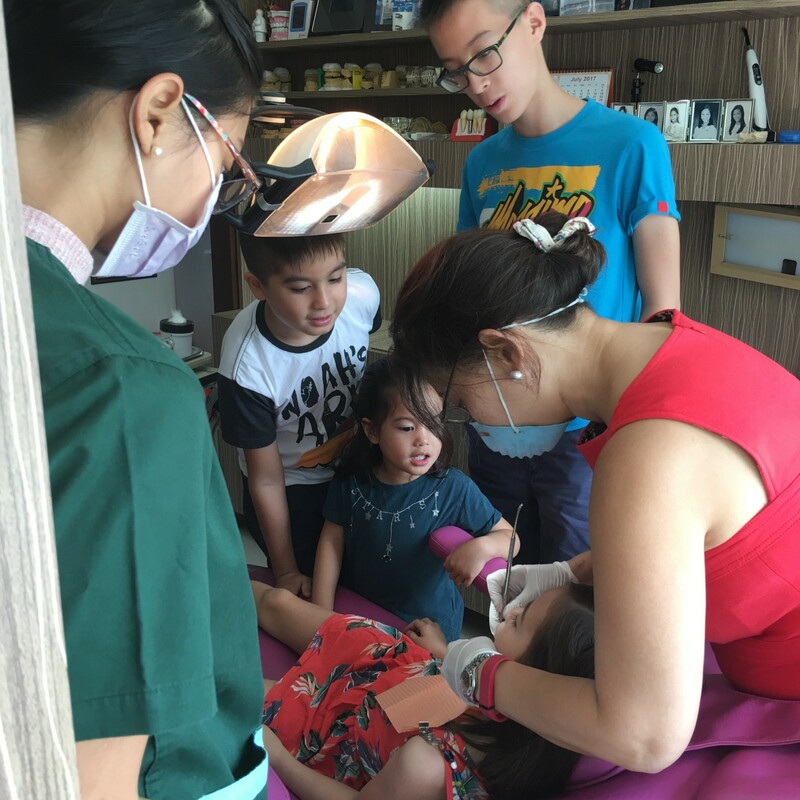 It’s taken some years for Edric and I to instill relationship principles in all of our children and they are still a work in progress (so are we), but moments like today, in the dental clinic, were an encouraging reminder that brothers and sisters can genuinely care for each other if they are taught to do so. Finally! Elijah had braces! I’m watching been waiting for that one moment!!! I can’t wait to see him with straight teeth! It’s gonna be fantabulous!!! Elijah has braces!!!!! Isn’t it cool? But it’s so unfair that it’s just 6 months or so. I had mine for 2 years cuz I had gaps. shared this impressive piece of writing at at this time. When will Elijah get his braces off?